The help system in Windows PowerShell is well known and much loved. But, it has been very difficult to create XML help files that comply with the PSMAML schema that the Get-Help cmdlet requires. Introducing PowerShell HelpWriter by SAPIEN Technologies, Inc., the first professional, fully featured help authoring studio for Windows PowerShell help. 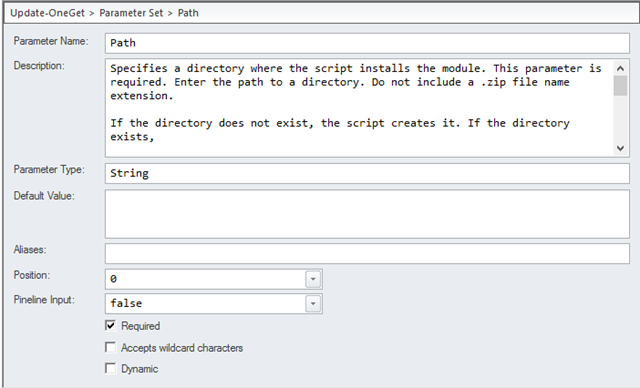 PowerShell HelpWriter saves you time and increases productivity – focusing your attention on writing help instead of struggling with the complex PSMAML schema. 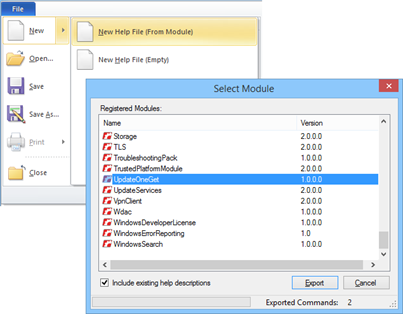 PowerShell HelpWriter creates help files from a module or from scratch. PowerShell HelpWriter manages the details so you can concentrate on writing great help content. Create help files for any module – with any command types. PowerShell HelpWriter names the files so Get Help can find them, even when you have multiple nested modules. View and edit command syntax – you don’t need to write it. 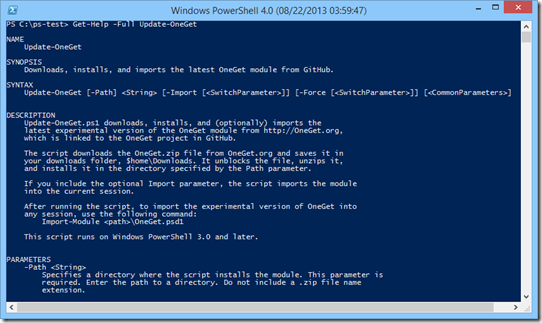 PowerShell HelpWriter adds the cmdlet attributes, parameters, parameter attributes, and input and output types to your file. 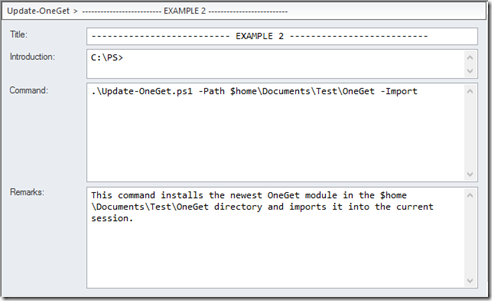 PowerShell HelpWriter makes it easy to compose help descriptions. It lets you add and delete parameters to keep up with code changes. It even indicates when a parameter is dynamic. PowerShell HelpWriter takes care of the formatting and the file structure so you can focus on the content. Confused by Inputs and Outputs? 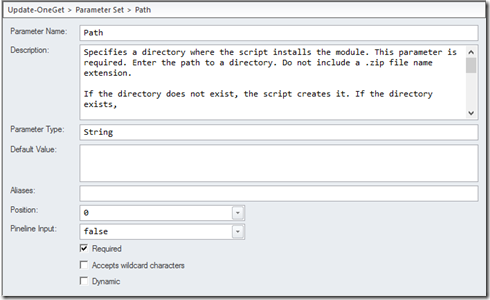 PowerShell HelpWriter gets the input and output types from the command code. You just write the descriptions. Support online help with a URL in the first related link. View and edit your help files in the built-in XML editor. And, if you’ve edited the XML, be sure to validate your help file before shipping. 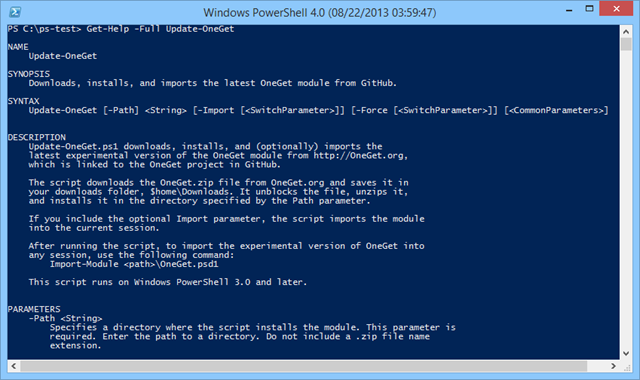 PowerShell HelpWriter generates Get-Help-ready help files. Add them to your module, Updatable Help CAB, and open-source repo. 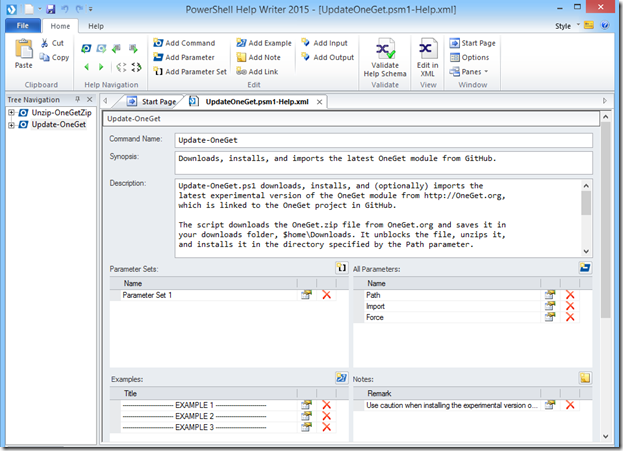 PowerShell HelpWriter 2015 is available now from SAPIEN Technologies, Inc. 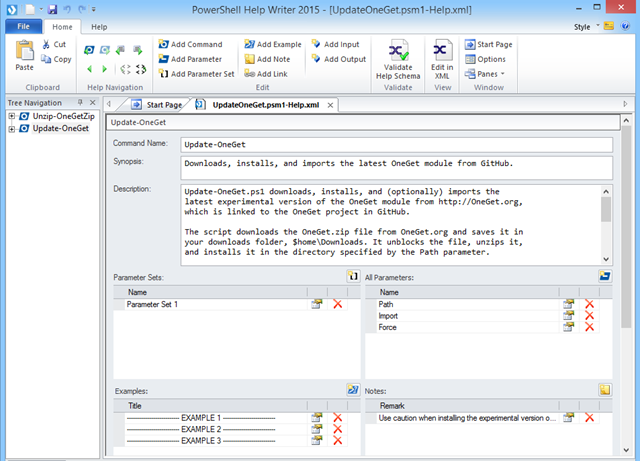 If you have a subscription to the SAPIEN Software Suite, you get PowerShell HelpWriter 2015 at no additional cost. 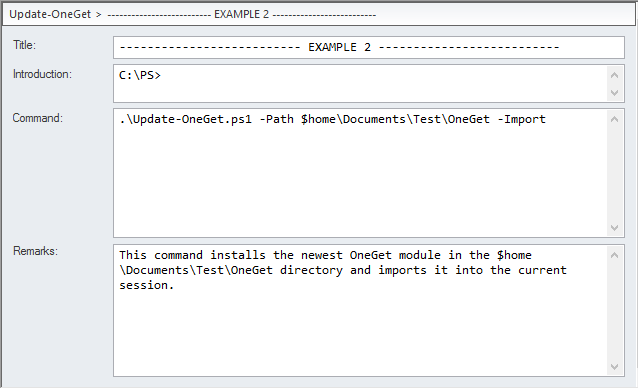 For more information and a free trial, see PowerShell HelpWriter. Thanks for the report. We fixed that right away. Please update to the latest version: 1.0.10.